If you want to improve your smile with cosmetic dentistry, I invite you to visit Pro Systems Dentistry for an exam and consultation. I believe that the initial consultation is the most important component of a smile makeover. The features of your teeth and gums that you wish to fix. The combination of treatments needed to reach your goal. By listening carefully, communicating clearly, and asking the right questions, I can fully assess the many essential variables unique to your needs. 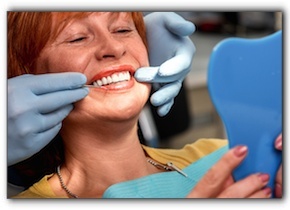 Effective cosmetic dentistry consultations ensure complete patient satisfaction. If this is your first visit to Pro Systems Dentistry, you’ll discover whether you feel comfortable with my Taylorsville practice and the skilled and friendly members of my treatment team. (We are sure that you will!) Your sensational smile begins with an exam and consultation at Pro Systems Dentistry; give us a call at 801-870-0623.